How to Organize a Fast Growing Guild? 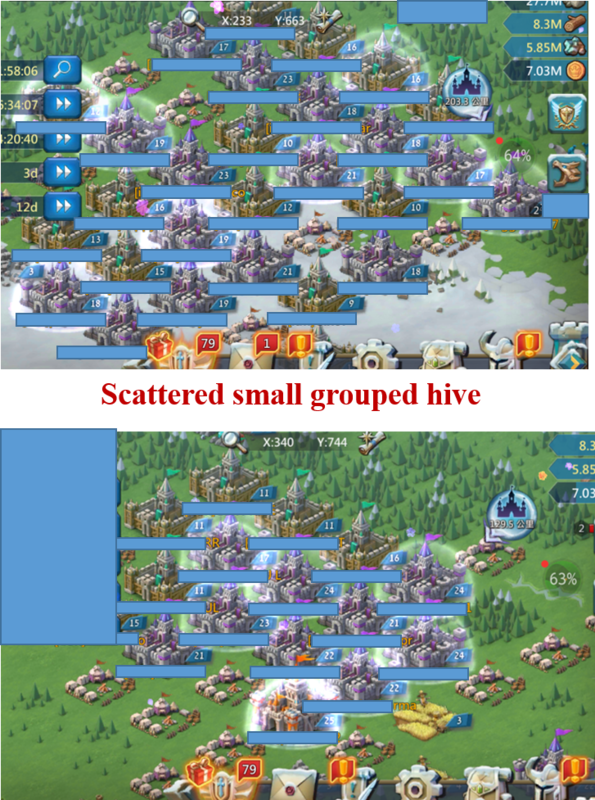 In this tip, I would like to share some experience of how to organize a fast growing guild. Try your best to recruit active members, of course, the P2P player will be more than welcomed. 1, Create a wegamers (or another app) group chat to include as many members as you can. This is for the convenience of organizing. And off-line communication is also important, and you can share experience, achievement, happiness, sadness, and etc…wegamers is perfectly matched this game, you can see the message from your guild member even without the log in the game. 2, Divide your guild into several groups. Around 10 people into one group with one high mighty player as the leader. This is for the convenience of Darknest, monster hunting, resources exchanging. 3, Scattered those groups in different locations. This is for efficiency. If you gather together, there would not be enough resource tiles for you to mine and monsters for you to hunt, you need to travel long distance. Another advantage is that when your guild is still weak if your hive was burnt by high mighty players, the scattered hive will make it difficult for them to burn many turfs in short time. It is better than gather together to let them easily to approach all. Maybe you will think to gather together is better because you can receive helping troops from your member easily. Theoretically, it was true, however, in practice, help does not always work. Here, I want to say more for the weak guild. If you do not have the shield, keep your resources below protected safe line or send to the one who has shields, hide your lord and troops when you are offline. Let it go, never be afraid of being burnt, they would get nothing. The wall has fire makes your turf looks even more beautiful. 4, Organize the member to hunt monsters. This is super important. Start with level 1 monsters, told your members to do monster research first (the one who always rally could do military research if they want). When most of the members could give a relatively high damage (let's say > 5% for the first hunt) to level 2 monsters, each group could organize to kill level 2 monsters. High-level monsters will give the better award. I will show the importance of guild gift chests in future updating. 5, Make allies. One more friend is better than one more enemy. Previous Previous post: Lords Mobile Special Event: She Who Gave Us Life!